Top of the range rotary ENESKA Micromotor System – perfect for very detailed de-burring, polishing etc. The ENESKA 450 Complete Micromotor System is a grinding, milling and polishing system. 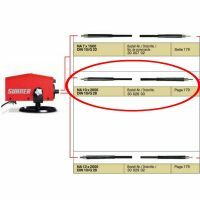 This is a heavy duty tool which has been designed for constant use. 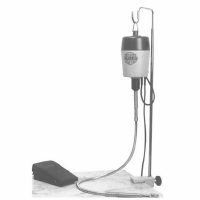 It comes with a high torque motor which will not over heat when used for prolonged periods of time. The key advantage of this system is the highly precise and sensitive manipulation of even the smallest tools. 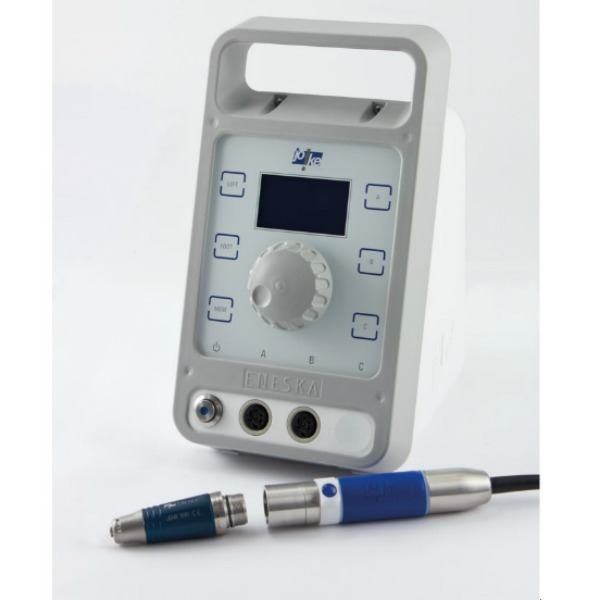 There is very little vibrations and noise which allows the user to feel the component and tools this will minimise damage and over working. Other major benefits which outweighs most air tools are constant variable speed control from 1,000 to 45,000 RPM with consistent high toque. The motor has left and right rotation which is helpful for left handed uses and also for deburring/polishing to a corner. 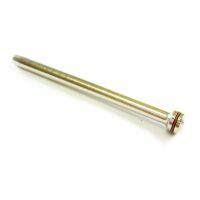 The collet system is a simple twist and lock so no spanners required, for very fast tool changes. A foot control is also available allowing excellent control and added safety when working. 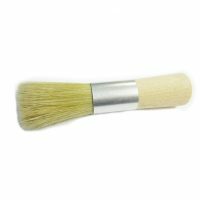 The high toque motor is brushless so no replacing brushes on this tool. 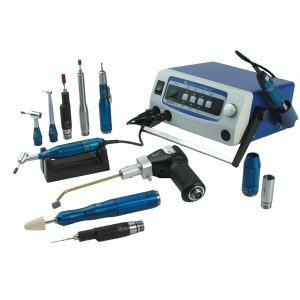 The ENESKA Micro 450 Complete Micromotor System is a modular system meaning several different hand pieces will attach onto the motor allowing a huge range of application for fine surface finishing. 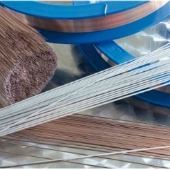 Extra heads include angled heads, Diprofil filling heads, large 6mm spindle head and even a mini belt finger sander. The New improved NSK Nakanishi Espert 500 Torque Set and the Eneska 4-1 . The part number for the NSK Espert 500 are the same. 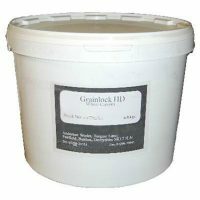 We also offer all repairs for the NSK and Eneska system in house. 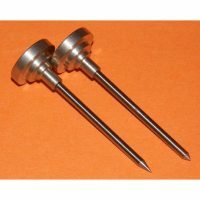 1 off Straight Headpiece – JEHR – 500 rapid chuck comes with a 3mm collet. weight 95grams dimensions 22.4mm diameter 58mm long. 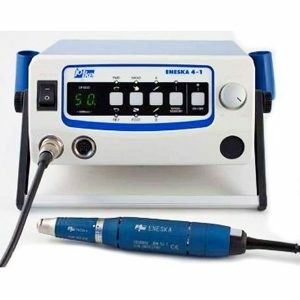 Video below showing the Eneska 4-1 system – this has now been superseded by this new ENESKA Micromotor System. 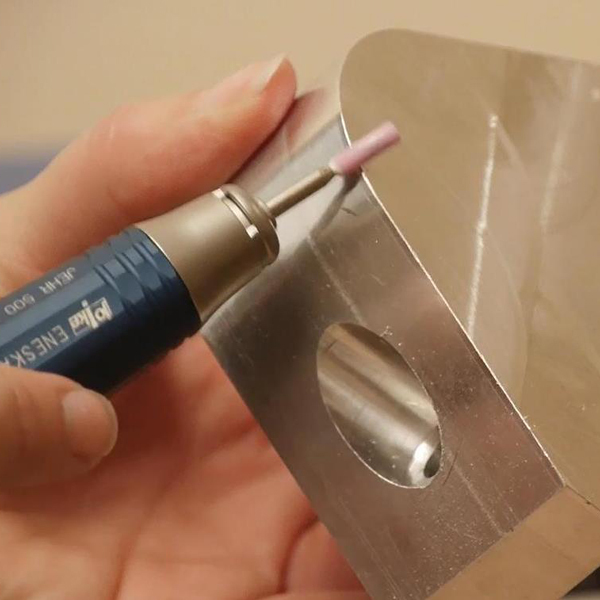 Mould tool polishing – Using the straight handpiece, the angled heads and the Diprofil handpeices is a popular combination for mould tool polishers. Using with small points, MX points, felt bobs for polishing. 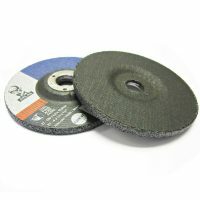 The angled heads are designed to use with small self-adhesive discs with sanding pads for working particularly on flat surfaces. The Diprofil hand pieces are perfect for taking off sharp edges and automatically filing slots and ribs in tools and dies. 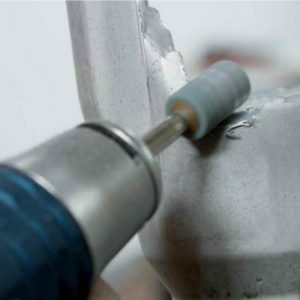 The 6mm shank hand tool can also be used for fine drilling press tools. Deburring precision engineered parts – in aerospace, automotive, oil and gas industries really any precision made machined cut part would require deburring. Parts with complex shapes, manifolds, cross holes, threads which all need cleaning, polishing and de-burring this is the perfect tool for the job. As you have little vibration you can delicately de-burr with full control. 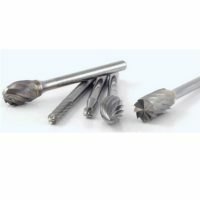 Utilising the variable speed control tools like the extended XEBEC can be used to de-burr cross-holes and burrs down holes. Jewellery making industry – Flexible shafts and pendant motor are traditionally used in this industry, but this machine is finally making its way into workshops in Hatton Garden and the Jewellery quarter in Birmingham. This machine is really the best in show and vastly exceeds any pendant motor. 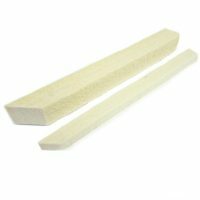 Can be used for cutting, polishing, stone setting etc. 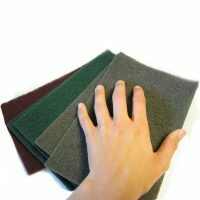 Other engineering uses can be cleaning, deburring, cutting cast components. Polishing and cleaning machined medical implants, sculpture, hobbyist, engine porting, deflashing plastics, polishing plastics the list goes on….